At NEMIC our mission is to support innovators and entrepreneurs, bridge "the valley of death", and expedite the developmental process in order for ideas to realize commercial success and provide value to the patients they serve. 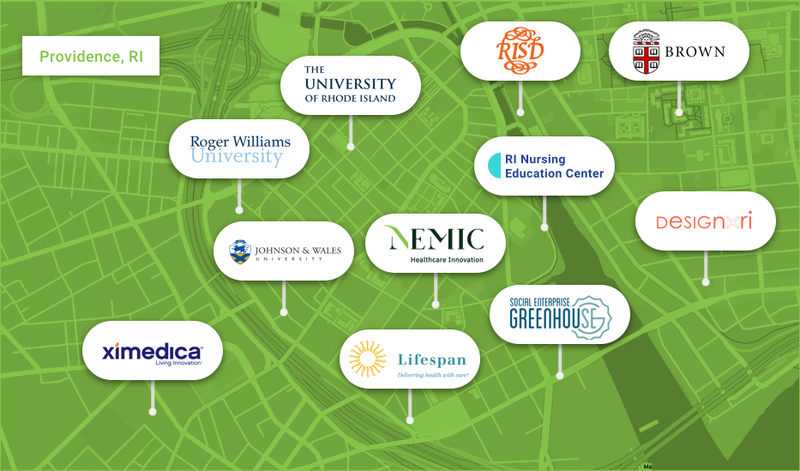 The New England Medical Innovation Center is a non-profit foundation and creative co-working space centered around bringing individuals together to advance innovators and entrepreneurs to reach their full potential and accelerate their medical technologies to market. Our individualized services and expertise in working with the FDA help our clients prepare for successful fundraising and technology commercialization in the field of healthcare and digital devices and products. We work closely with tech transfer offices locally and globally to accelerate that process and to bring valuable solutions to all. The innovation center has a community layout that harnesses productivity and teamwork by incorporating co-working space, meeting rooms, and an educational lecture area. Members will gain hands-on support and individualized mentoring opportunities from our team of experienced advisers. Because we're unlike any other organization. We stay with companies even after they leave our programs and continue to offer unbiased support throughout the entire commercialization process. Wherever you are in the developmental journey, our vast network of experts provides you with the guidance you need to navigate that process.